Guild members Suzanne Isabelle (arborvore.com) and Lisa Laughy (ninthwavedesigns.com) will be featured on WMUR TV's show NH Chronicle on Tuesday, March 26th. Suzanne talks about her work as a spoon carver and Lisa about her wood carvings, and also their shared interest in creating things from wood. 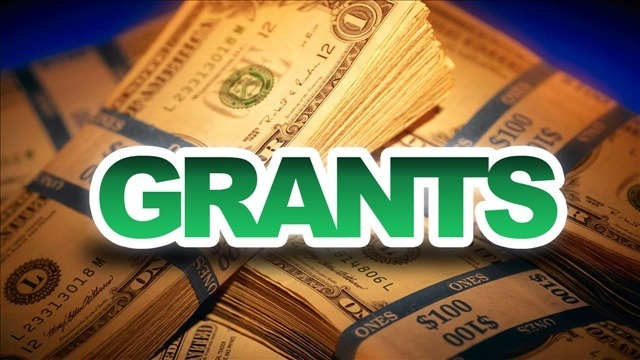 Have you heard about our Grant Program? 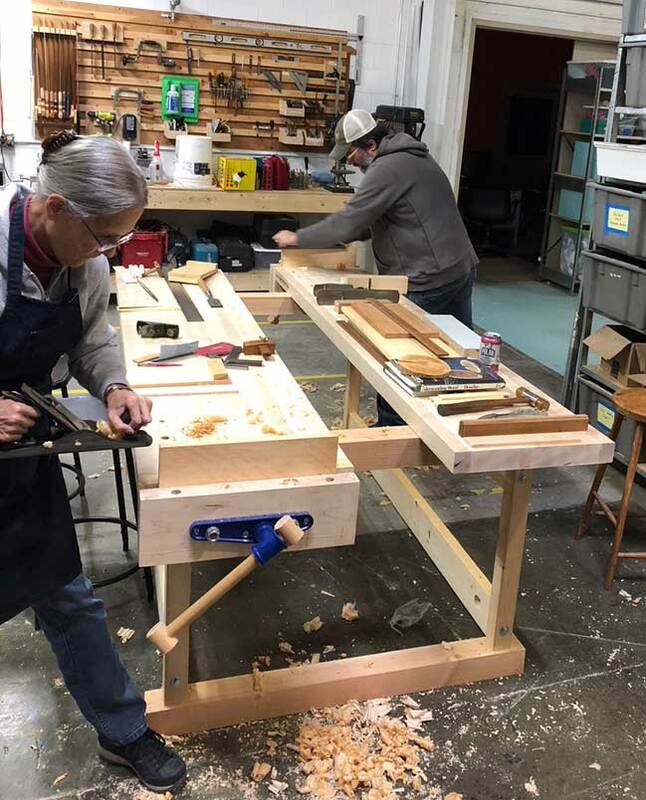 The Guild is dedicated to furthering woodworking through the sharing of knowledge, skills and experience among its members and the general public. 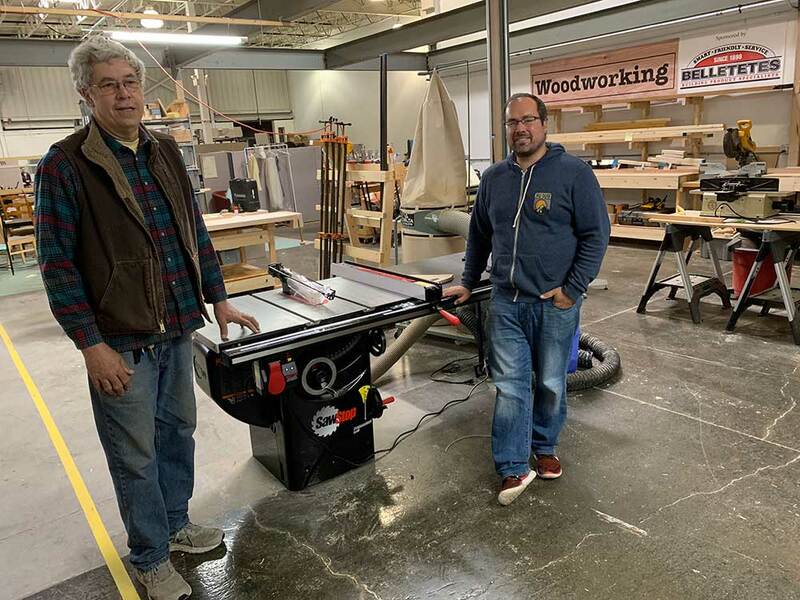 To that end, the Guild provides grants to institutions, organizations and schools to assist them in the furtherance of woodworking education of students and individuals. This young makerspace has moved to a large warehouse space and have designated about 1300 sq. ft. for woodworking. 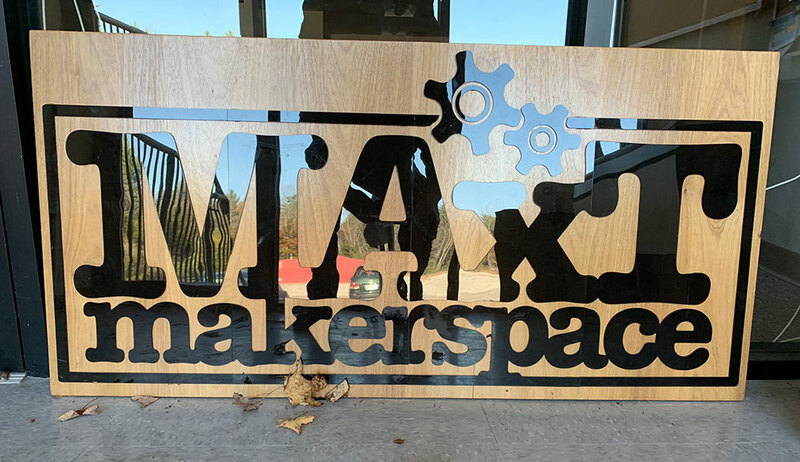 MAxT is a non-profit organization and serves the Monadnock region of New Hamphire where there are no other makerspaces. They have good community financial support in the Peterborough area in addition to much donated equipment. The Guild provided grant money to purchase a SawStop tablesaw as the center piece to the woodworking area. Paul Tuller (pictured left below) has been instrumental in making the MaxT Makerspace happen. He is a life-long professional woodworker and a founding member of the Guild. They have been able to hire a full time managing director (pictured right below) this year. We are making steady progress. Here is a picture from one of my intro woodworking classes with students using the newly built workbench. We have completed the $8500 power upgrade with new panel and transformer to run the shop. Hoping to finish table saw outfeed this weekend. We keep getting more tools and machines and I am working as fast as I can to get additions up and running. The table saw is attracting new people interested in woodworking. Thank you so much for getting us this machine.